When scientists describe their results or insights as 'beautiful', are they using the term differently from when they use it of a landscape, music or another person? 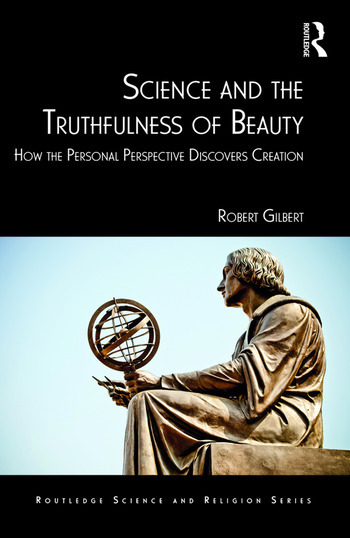 Science and the Truthfulness of Beauty re-examines the way in which seeing beauty in the world plays the key role in scientific advances, and argues that the reliance on such a personal point of view is ultimately justified by belief that we are made in the 'image of God', as Christian and Jewish believers assert. It brings a fresh voice to the ongoing debate about faith and science, and suggests that scientists have as much explaining to do as believers when it comes to the ways they reach their conclusions. 2 Two different ways of knowing? 6 Where does the beauty come from? Robert Gilbert has worked in Oxford since 1999, in 2002 becoming Fellow and Tutor in Biochemistry at Magdalen College. From 2004 to 2012 he held a Royal Society University Research Fellowship in the Division of Structural Biology, part of the Nuffield Department of Medicine where he is now Professor of Biophysics and Director of Graduate Studies alongside his Biochemistry Faculty and College teaching. From 2009 to 2011 Professor Gilbert trained for ordination as an Anglican priest before being made a deacon in 2011 and ordained priest in 2012. After completing his curacy in the parishes of Wolvercote and Wytham in North Oxford, he stayed on as an associate priest before taking up a similar role at Holy Trinity, Headington Quarry, in 2016. He is the author of more than eighty scientific articles, co-edited an international scientific monograph published in 2014 and is the Managing Editor of the European Biophysics Journal.